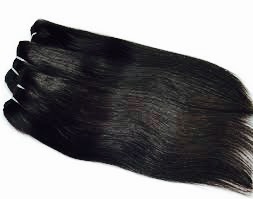 We are a major Straight Machine Weft Hair Manufacturer, Exporter and Supplier in Howrah, West Bengal. The Straight Machine Weft Hair that we offer enhances the looks of the wearer and retains its look and quality for a long period of time. This Straight Machine Weft Hair is also customized as per the clientâï¿½ï¿½s specifications and can be obtained at market leading prices.